We are an Anglican Church and the current building was consecrated in 1953, although there has been a church here for much longer. We are situated on the busy Castle Lane West, at the corner of Redbreast Road in Bournemouth. 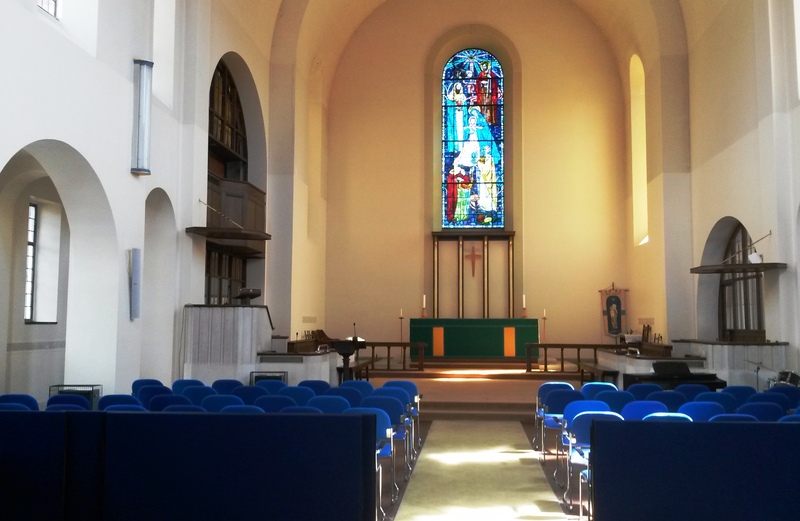 The brick building is a strong monument to faith, seen by countless thousands of drivers each day and the interior is light and airy with a magnificent East window of the Holy Epiphany. 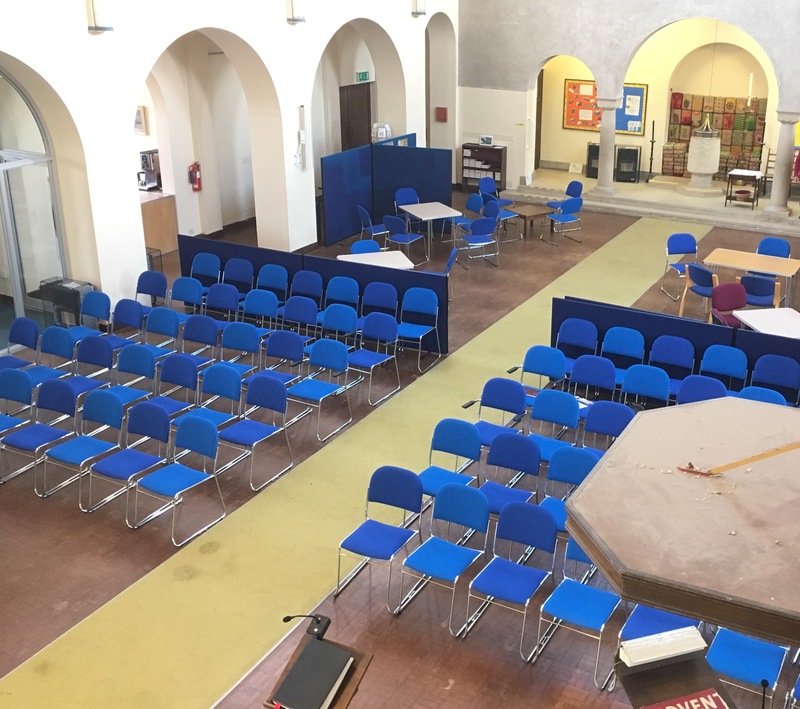 We have recently reconfigured our interior space to make it multi-functional with a social space at the back of the church. As well as our regular traditional Sunday services we ‘do church’ differently with families in mind with our Breakfast @ 9 and Messy Church . We also have a thriving Parent and Toddler group. We have Breakfast meetings on some Saturdays for men and women, prayer groups, homegroups, Tea Cosy and Lunch Club and lots more. See more details of What’s On in our calendar and by clicking on the ‘Groups’ link in the menu bar.